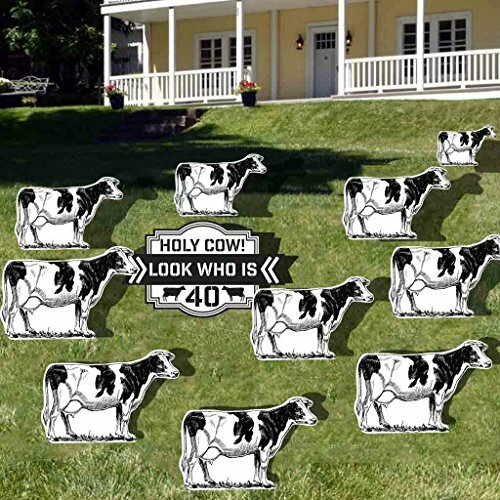 Decorate your front yard for a special someone's birthday! 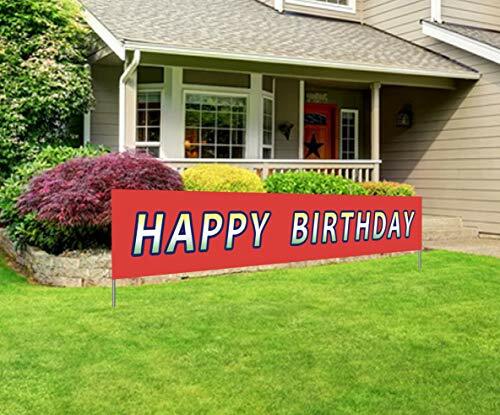 Weatherproof corrugated plastic yard signs are perfect for all seasons! 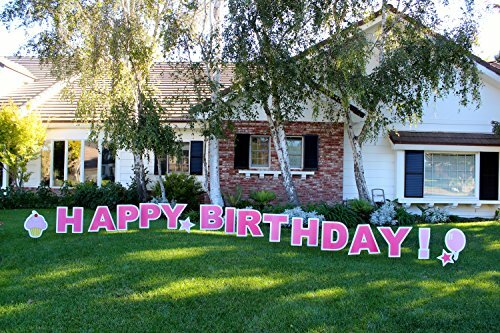 Yd Card's 'happy Birthday' Pink 13-letterpiece outdoor yd sign spells out 'happy birthday' Comes with a colorful Baloon 2 shining stars, exclamation pt. 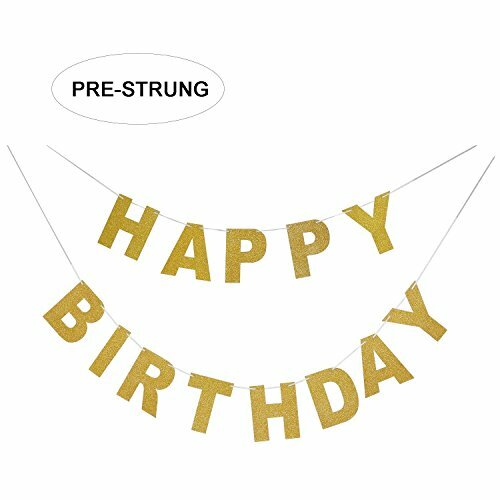 & balloon cutout to create the "WOW" Factor you are looking for. 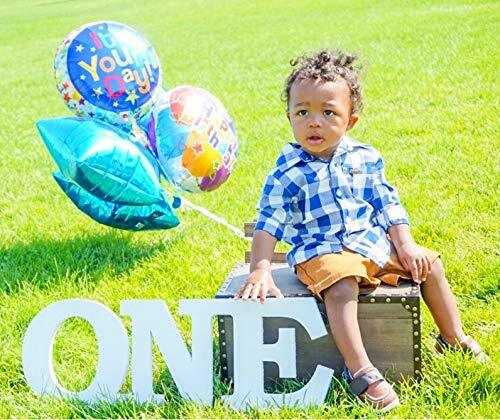 Our sign measures 18" In height & easy to put together for celebrating a loved one's birthday. Our outdoor yd sign is easy & quick to install by simply attaching the letters to the individual yd stakes. Plant or stick the stake end into semi-soft ground such as natural grass, dirt, or sand. When the Letter & stake are secured in the ground, these letters will stand between 20-22" In height. Yd card is made from 5mm sealed corrugated cardboard that is water resistant not water proof. We recommend steaking our outdoor sign during clear low humidity weather. If taken care of properly, our signs can be reused again with easy storage inside of the box It comes shipped in. material:ECO-Friendly paper Card size is 4.7" X 5.9" Size: Happy 3 feet. Birthday 5 feet. 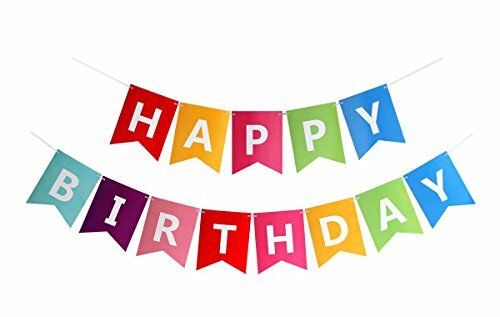 It is perfect for any age,such as your kids 1st birthday in the park or birthday party in the home etc high quality product from "FECEDY" Brand，if you think have any quality questions,pls tell us,100% money back! 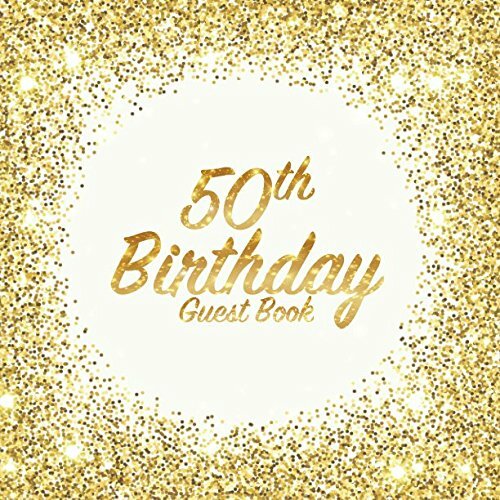 Make that special birthday celebration unforgettable with this glamorous guest book and keepsake. Record all the names, best wishes and messages from everyone who attends the party. Large 8.5 x 8.5 inch square design Spacious layout with 2 messages per page - plenty of room for your guests to write in Glossy soft back cover Space for over 200 guests Sophisticated page design with over 100 cream colored pages A wonderful keepsake that can be read again and again to relive a birthday that will never be forgotten.